Vista—Seventy-five years after Herbert Hoover called for a chicken in every pot and a car in every garage, the Vista Unified School District is headed for similar promises of prosperity. The district will open its two newest schools next week with a 27-inch television in every classroom. So much for the days of wheeling the school’s only TV into class on a cart. 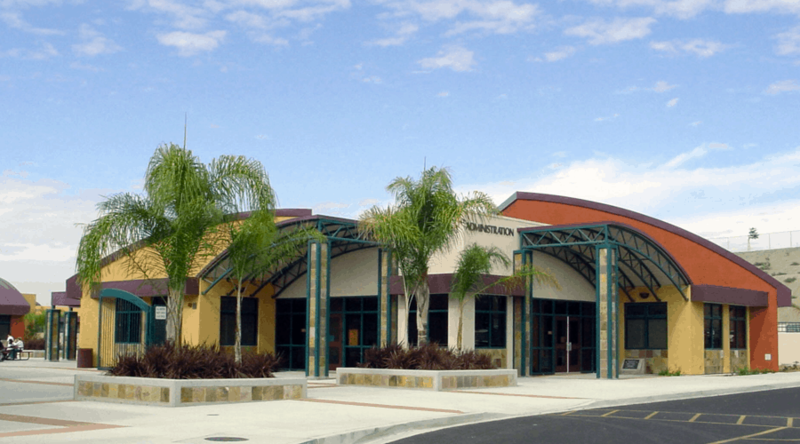 At 9 Monday morning, the new Temple Heights Elementary School in Oceanside will welcome 690 students, and 620 will swarm the New Hannalei Elementary School in the unincorporated area. The throng of television sets won’t be the only advance inside the district’s first new elementary schools in 11 years. Computers will be stationed on each teacher’s desk, from which they will be able to print letters and lesson plans on each school’s central copy machine. So much for the long lines at the Xerox machine in the teachers lounge. Teachers at Temple Heights will be equipped with portable sound systems and lapel microphones to better connect with their 30 classrooms, some of which will hold 34 students at a time. The new Temple Heights principal, Vicki Corea, spent two years as the principal at Empresa Elementary School before her transfer. She said the new technology lets her replace lengthy staff meetings with schoolwide e-mails. “I’m still pinching myself,” Corea said. Karl Bradley, the district’s director of construction, said the classroom computer lines won’t be operational by Monday, but school officials will have the computer access they’ll need to register students and stay connected to the district network. Bradley said more pressing technological needs — telephones, fire alarms and air conditioning — will be working. A new traffic signal installed outside Hannalei for safety purposes also will be operating. Principal Michael Barnes moved to Hannalei after 13 years at Alamosa Park Elementary. He said students who live east of Santa Fe Avenue will be able to ride buses — even if they live within the district’s one-mile no-bus zone — because of the dangers of crossing the busy street on foot. He said he did not know how many students would be riding the bus. While contactors and teachers will work through the weekend to prepare for the student onslaught on Monday, administrators said landscaping and some cosmetic touches will require a few more weeks to complete. This week, teachers prepped classrooms and shelved more than 2,0000 math, language arts and socials studies books at each school. They arranged about 1,000 chairs and more than 700 desks and tables on each campus. While the school year for these students will start four weeks later than it did for their peers, all students will start their summer vacation at the same time because the new schools will shave four weeks off other breaks. School construction began last September for both schools and cost about $10 Million for each campus, financed with a $140 million school construction bond the district passed last year and with additional state funds. Two other schools are under construction, and a contract to build another will be awarded this fall as massive overhaul gets under way. The two newest schools were designed using the same set of plans, so each has a central office, a multipurpose room and 12 buildings with classrooms. They were built to handle 750 students each in a district desperate for space to relieve crowding. The two openings allowed the district to switch from year-round schooling to a more standard, 180-day schedule this year.